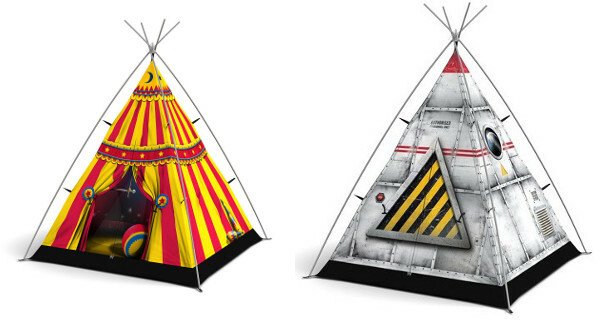 If you’ve never seen the amazing tents from Field Candy, you really must have a look at their range. It will blow you away. 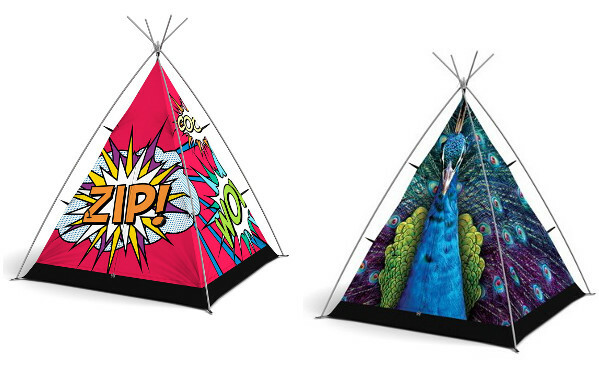 Now Field Candy have launched a brand new line of tents especially for children – the Little Campers. 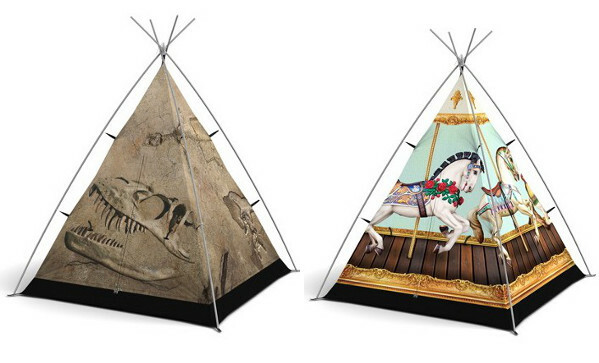 There are six tents currently in the range, all of them based on traditional teepee design, but with the serious durability and modern style that Field Candy are known for. 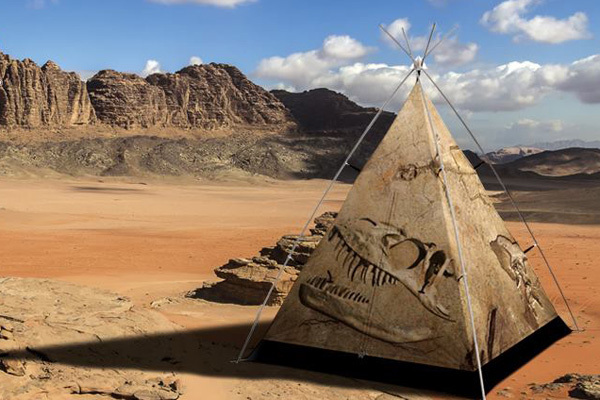 Unlike a play teepee, the Little Campers tents are the real deal – they are weatherproof, UV-resistant and fire retardant. With lightweight aluminium poles which easily fit together, the whole tent weighs under two kilograms. Although it’s a proper tent suitable for outdoor camping (pegs and all), you can also set it up inside and it will stay up without pegs, which means it easily doubles as an indoor play tent or cubby house. It also means that if you have a child who likes the idea of camping in the backyard but has second thoughts at 2am, you can just move the whole experience into the lounge room without much trouble. The Little Campers range stand at 1.8 metres tall, with an interior height of 1.6 metres. Each tent in the Little Campers line is priced at £195 (about $355) and shipping to Australia is an extra £15. You can get all the details and purchase them directly from Field Candy.